Against the sun, the top of the tree is glared against the sun, but is only about 3m high. 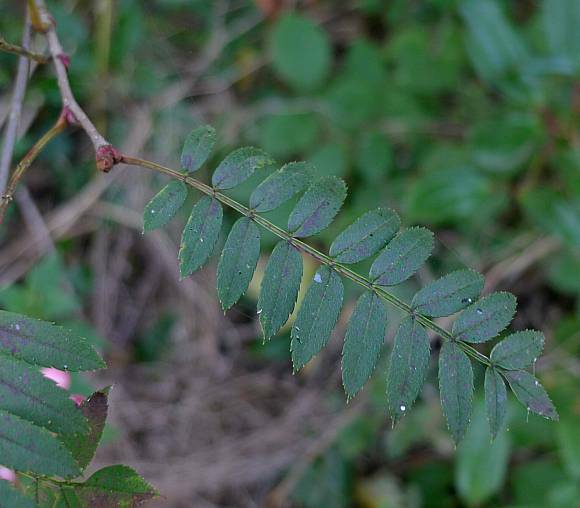 Pinnate leaves with up to 14 pairs of leaflets. 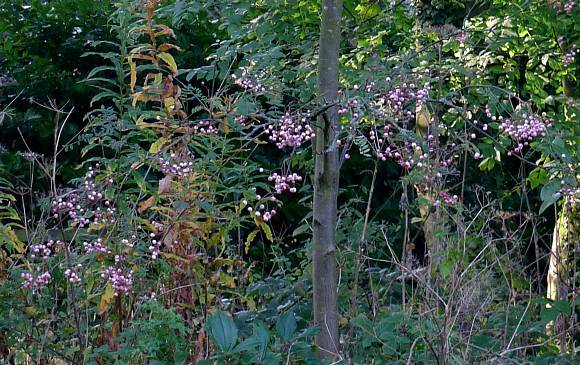 Berries deep red in autumn, turning pinkish with white later. 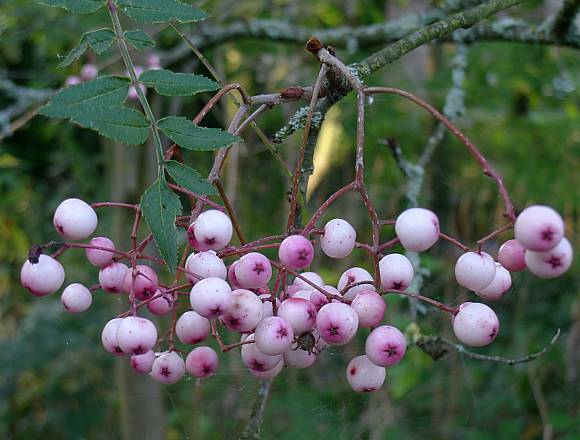 Later, as here, the berries are white flushed with pink. 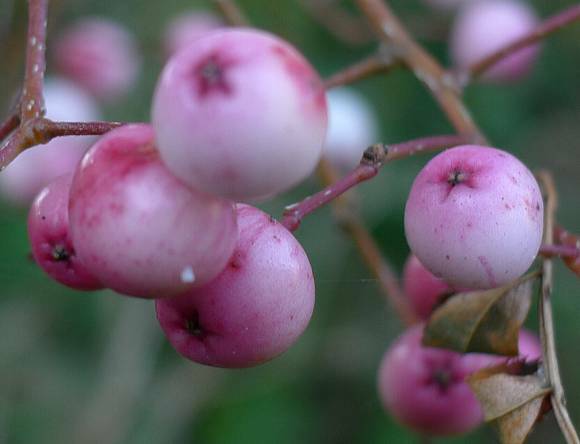 Berries hang down on reddish stalks. 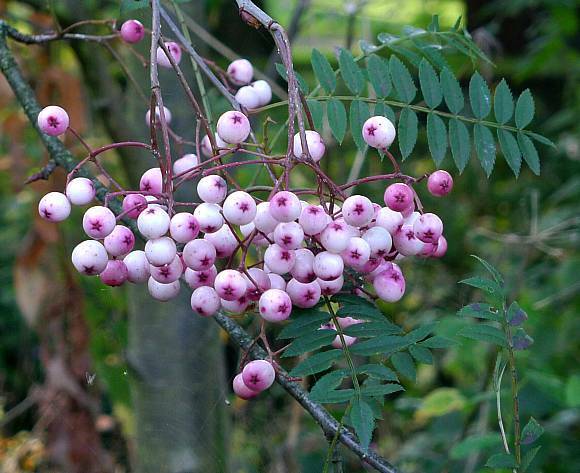 Berries similar to those of Hupeh Rowan ( Hubei Rowan ) but white flushed with pink, rather than vice-versa. Un-like the all-white berries of Kashmir Rowan the surgeon has made a neat tuck-in stitching job on the berries, so to speak, rather than a botch job. Leaflets dark green and greyish beneath (not shown). 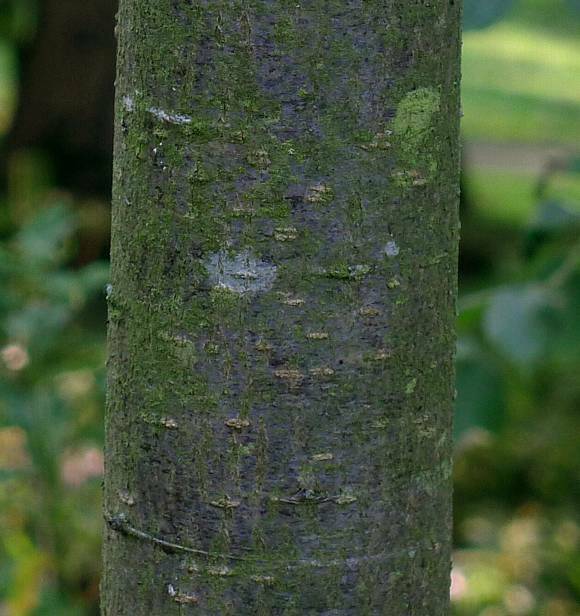 The bark appears tinged blue, but this may be an artefact of the poor colour temperature correction in the photograph? 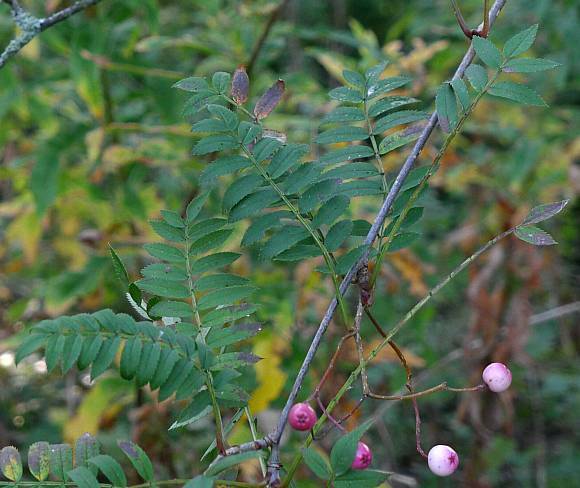 An Asiatic Rowan cultivated in parks and gardens as an ornamental tree. The shape of a mature tree is broader than tall. The shoots have rusty hairs initially, and the leaflets small, with up to 14 pairs plus a terminal one. Leaflets wrinkled and almost hairless. The leaflets, when newly un-folded they are pale brown, when mature dark green above and greyish underneath, and turn a deep red in autumn. 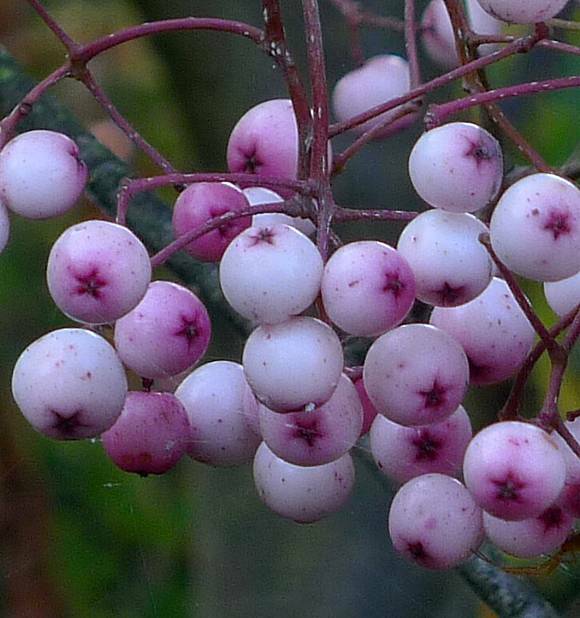 The berries are white flushed with pink tones.